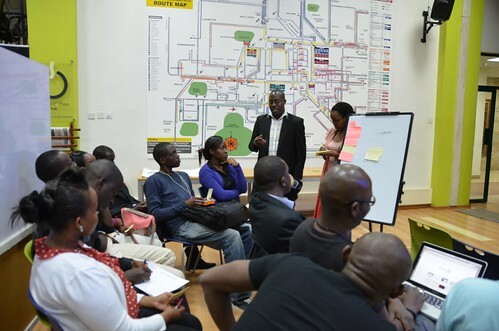 A week into announcing our developer release of Ushahidi v3, the .ke based team set out to introduce the local dev community to the platform, and get them involved in development at an early stage. We took an unconference style approach to this meetup, trying to get the audience to decide what they would like to know about v3 within the one and a half hour timeframe set for the meetup. One group dove into v3 use cases and features that would need to be developed to suit arising needs, while the other group got their hands dirty figuring out the technical framework of the recent release and how to jump into the code. [caption id="" align="alignnone" width="500"] Linda taking the devs through technical aspects of v3[/caption] [caption id="" align="alignnone" width="500"] Limo and Juliana lead a brainstorming session on v3 use cases[/caption] Later on in the day, we hosted an online demo and discussion on v3 development with lead devs Robbie and Linda. For all those who missed it, below is a recording of the session. Now, we know that this release may be geared mostly towards developers, but that doesn't mean that non-devs cannot contribute. The QA team could use help coming up with test cases and testing on mobile devices too. We've got a demo site up and running - take it for a spin! Do keep in mind that this is still largely a work in progress. These are the first of many more physical and online events that we are set to hold in the lead up to a full release of the platform, with plans on highlighting more of the Quality Assurance, Design and User Experience aspects of building out 3.0 as well. 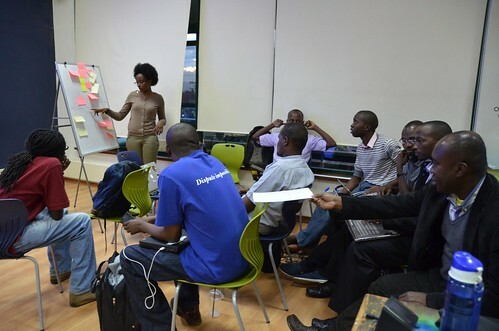 The Kenyan devs are set to hold an API walkthrough within the next few weeks, and the v3 team is holding a planning call on Monday 11th November, 2013 at 9p.m EAT (let us know if you would like to be added into this call). In the meantime, stay tuned on our blog, meetup page, twitter, facebook page and wiki for more announcements. Onwards!